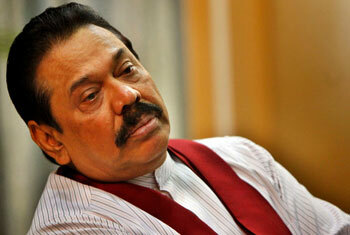 President Mahinda Rajapakse deplored Wednesday’s execution of a Sri Lankan maid Rizana Nafeek who was convicted of murdering her Saudi employer’s baby. Nafeek was beheaded near the Saudi capital Riyadh despite repeated appeals for clemency by the President as well as international rights group, the External Affairs Ministry said in a statement. “President Rajapakse and the government deplore the execution of Rizana Nafeek despite all efforts at the highest level of the government and the outcry of the people locally and internationally,” the ministry said. Sri Lankan lawmakers observed a minute’s silence during Wednesday’s sessions as parliament was told of the execution that was carried out even as Colombo tried to send a delegation to Saudi Arabia to plead for mercy. Nafeek was found guilty of smothering the infant to death after an argument with the child’s mother, her employer, the Saudi interior ministry said in a statement. This is the second execution of the year in Saudi Arabia after a Syrian was beheaded on Tuesday for drug trafficking. Last year, the ultra-conservative Muslim kingdom beheaded 76 people, according to an AFP tally based on official figures. HRW put the number at 69.